David Toutain is back. Well, he will be shortly. The much lauded chef, who brought acclaim to Agapé Substance before jumping ship back in December 2012, will be returning with a new restaurant on December 23. 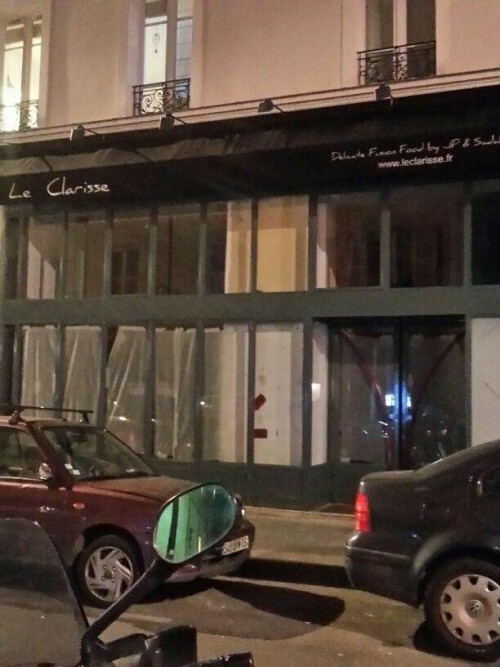 He’s taking over Le Clarisse (29 rue Surcouf, 75007) and the new venture will bear his name, Restaurant David Toutain. Check out www.davidtoutain.com for a very dramatic film (rebirth! transition! thunderclap!) designed to get you pumped for the resurrection. Totally wonderful; chef, dishes (14-15) bread and coffee. For those of us on a pension however it’s pricey; for those of us half deaf it’s really loud and for those of us who hated Agape Substance ( not me Monsieur) it’s still David pushing the envelope. Reservation booked …can’t wait !!! !